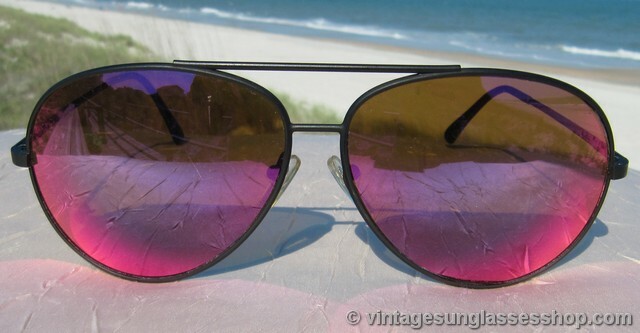 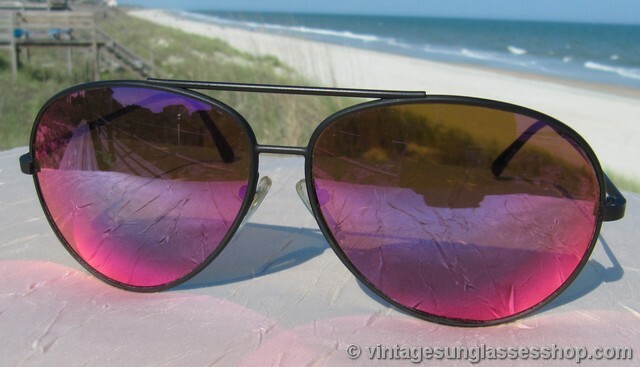 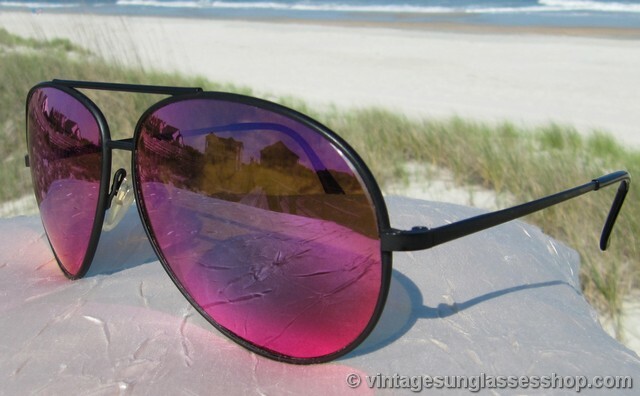 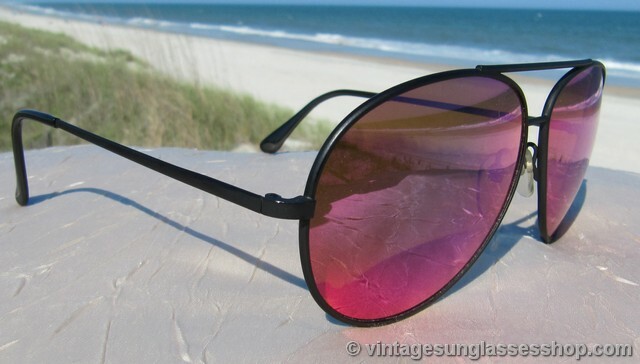 Revo Large Pilot sunglasses were part of Revo's first style collection and feature a high performance matte black aviator style frame and eye catching, highly reflective Revo purple mirror lenses c early - mid 1980s. 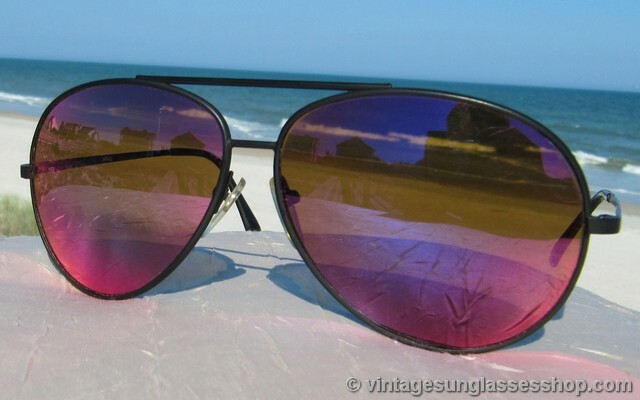 You'll love how these early and rare Revo lenses turn a rich, deep color out in the sunlight that will pick up hues of blue, red, and purple. 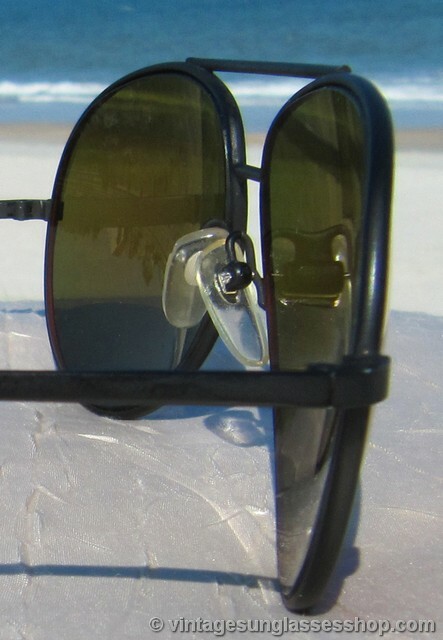 The size and shape might suggst a Ray-Ban aviator, but nobody will miss the design flair of Revo's unique interpretation. 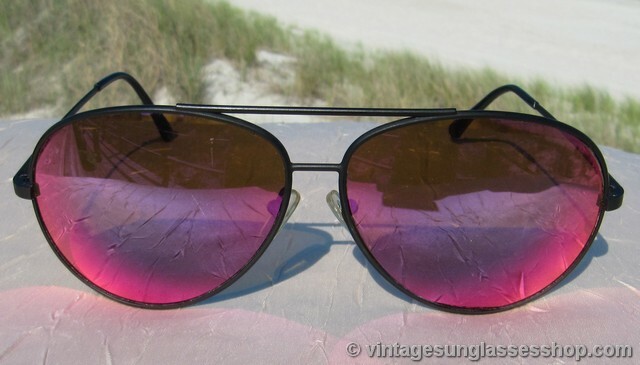 The mineral glass lenses measure approximately 2.675" x 2.125" at the widest points while the unisex Revo Large Pilot frame measures approximately 5.75" temple to temple. 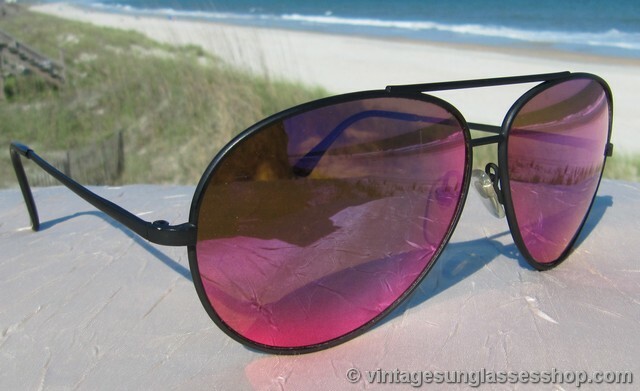 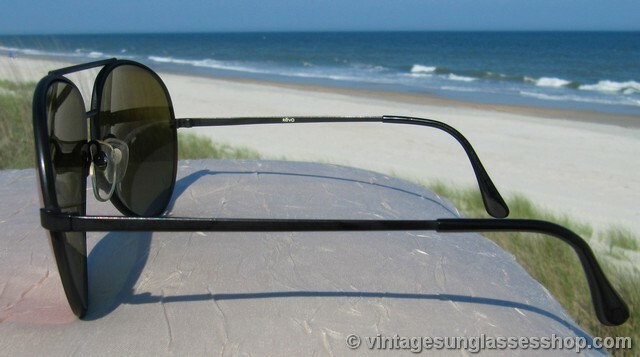 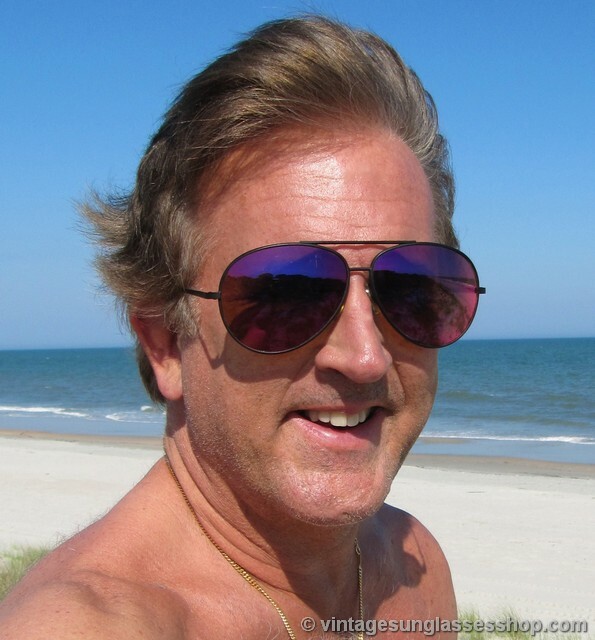 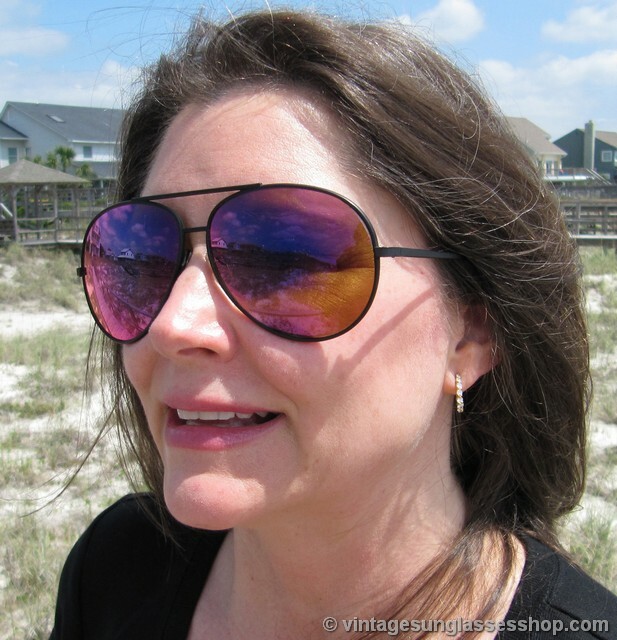 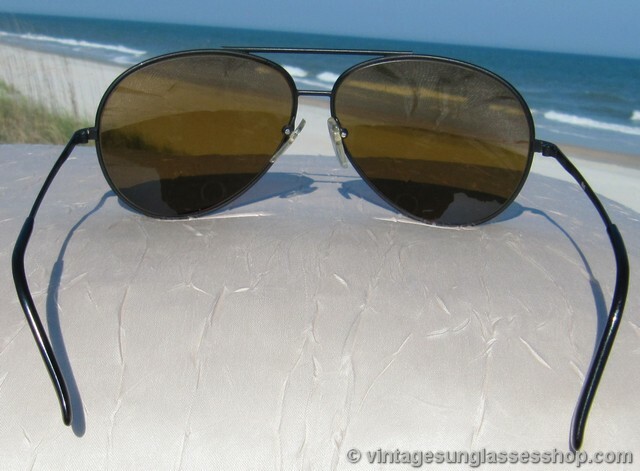 The inside of one ear stem is marked Revo, one of 3 vintage Revos from a major Florida collector just offered here at Vintage Designer Sunglasses.